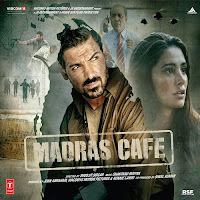 Jaise Mile Ajnabee Lyrics from Madras Cafe starring John Abraham and Nargis Fakhri in lead roles. Music of Ajnabee has been composed by Shantanu Moitra. The lyrics of Ajnabee has been penned by Zeb.